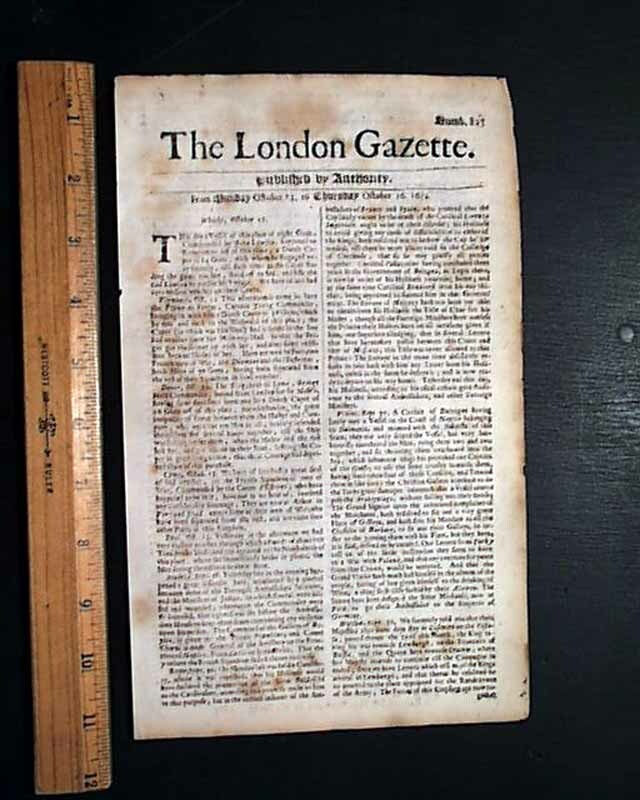 Item # 649303 THE LONDON GAZETTE, 1670's (2nd-rate) A genuine issue of this famous title, the world's oldest continually published English language newspaper having begun in 1665 & is still publishing today. This newspaper is a bit "2nd rate" in condition, having minor disfigurements such as heavy foxing, edge tears, close trimming or other minor problems which allow us to discount the price considerably. This is not a "damaged" issue. 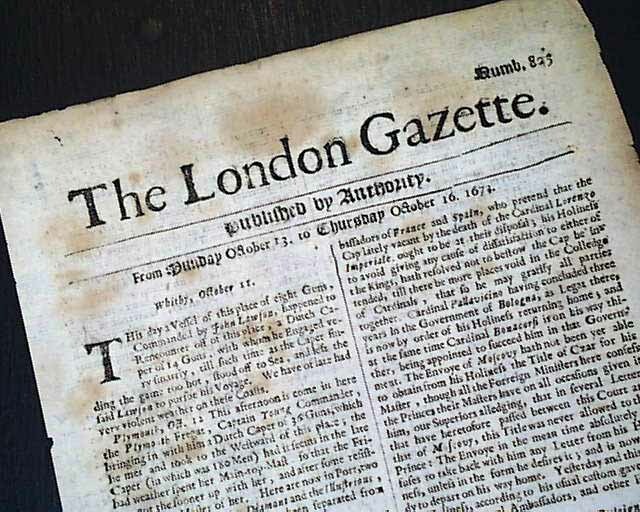 A great opportunity to purchase a newspaper over 300 years old at a low price. Single sheet & printed on both sides. A very popular title & a foundation for any newspaper collection. The photo shows an example of a typical 2nd-rate issue of this title.